Portfolio Payroll Ltd is the market leading and longest established recruitment consultancy specialising in the recruitment of Payroll professionals at all levels of the market across the UK and the preferred supplier to the Chartered institute of Payroll Professionals (CIPP). We provide a range of recruitment services across permanent, contract and interim recruitment in addition to our highly tailored approach to senior level appointments through our executive division. 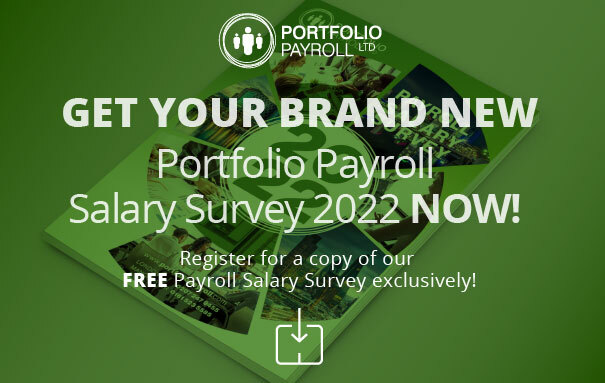 Portfolio Payroll provides clients with immediate access to an extensive database of payroll professionals built over years of relationship building, industry networking and utilising a broad range of resourcing methods. As the longest established specialists recruiters in the market, with 30 years expertise in the payroll field, our team of consultants have unrivalled knowledge and experience within the payroll industry. The Company is established, specialising in payroll recruitment. New ownership with ambitious plans for expansion. Portfolio gains a place in the Sunday Times Fast Track 100. Portfolio CBR is launched, specializing in the recruitment of compensation, benefit and reward professionals. Portfolio Payroll moves to new and larger offices in the heart of the City of London. Portfolio Credit Control is launched, specialising in the recruitment of credit control and credit risk professionals. Listed in the Recruiter Hot 100 companies. Portfolio is listed in the Sunday Times Best 100 Companies to Work for. Once again a Recruiter Hot 100 company. Portfolio Procurement is launched operating within the specialist procurement sector. Shortlisted for the Institute of Recruitment Professionals (IRP) Awards. From April 2015 to April 2016, Portfolio has grown from 30 employees to 42!